This year is a challenging year for me. This year is a year of transformation for me. I am trying to overcome the fear and timidness in my inner heart and begin my exploration both in my spirit and in outside world. I was so lucky that I got the precious chance to visit Hangzhou for 6 days after 2016 G20 Summit during Sept. 21~26, 2016. 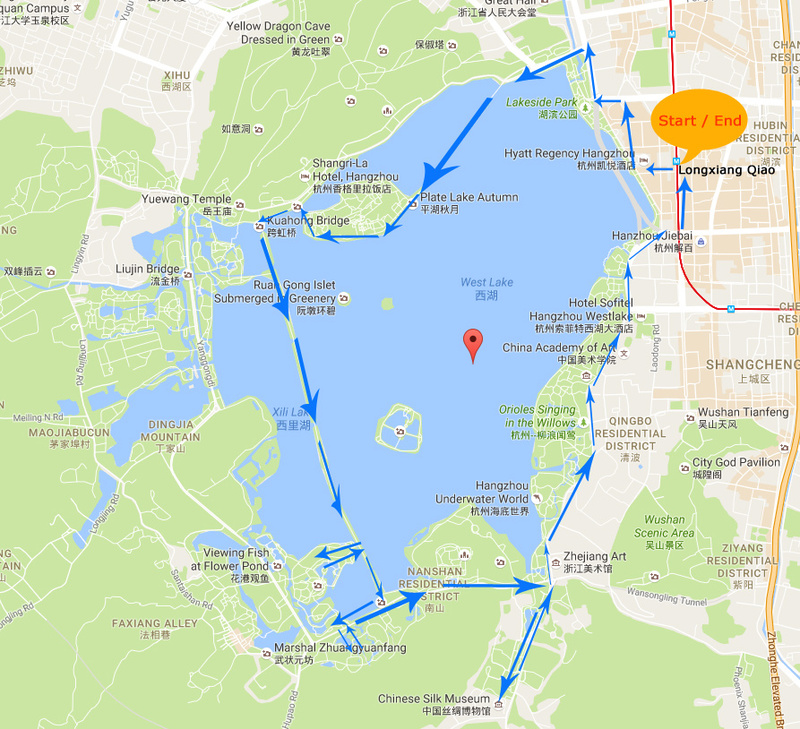 To enjoy the tranquil West Lake and have great photography experience, I tried to get up early in the morning and rented a bike (private bike renting is around 20 Yuan per day; if you rent public bicycle is for free but traveler needs to handle a card) at Longxiang Qiao (龙翔桥) to begin my full day circling around West Lake. 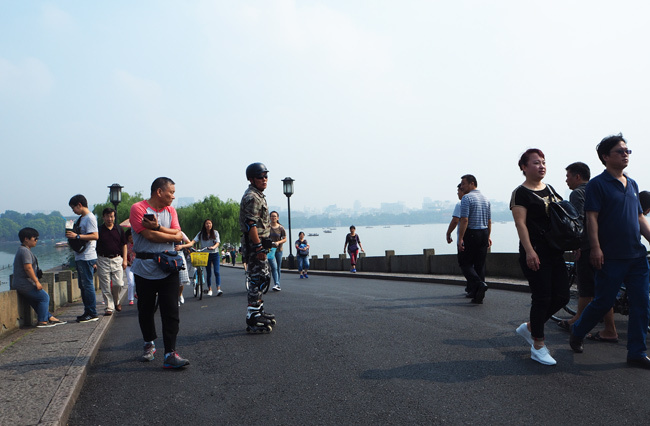 On two wheels, I ran through the busy streets with honking car horns under the tall plane trees and I witnessed the local elder people doing Taichi around the lake which was a harmonious scene between human and nature. After 10 minutes’ exciting riding, I arrived at Lingering Snow over the Broken Bridge in Winter (断桥残雪). This bridge was first in Tang Dynasty and what makes it famous is “the Legend of the White Snake” or “Madame White Snake”. A young guy called Xu Xian buys some tangyuan at the Broken Bridge from Lu Dongbin and the tangyuan turns out to be immortality pills. Xu does not feel hungry for the next three days after eating them, so he goes back to ask why. Lu laughs and carries Xu Xian to the bridge where he flips him upside down and causes him to vomit the tangyuan into the lake. 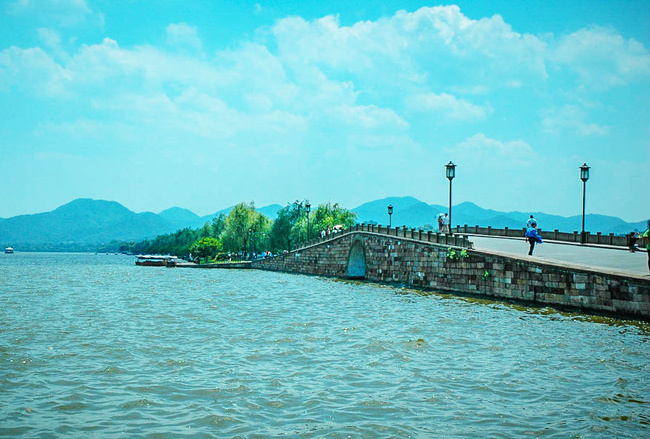 In the lake, there is a white snake called Bai Suzhen who has been practicing Taoist magical arts in hope of becoming an immortal after centuries of cultivation. She eats the pills and immediately gain 500 years’ worth of magical powers. She feels grateful to Xu Xian and swears to repay her gratitude later. 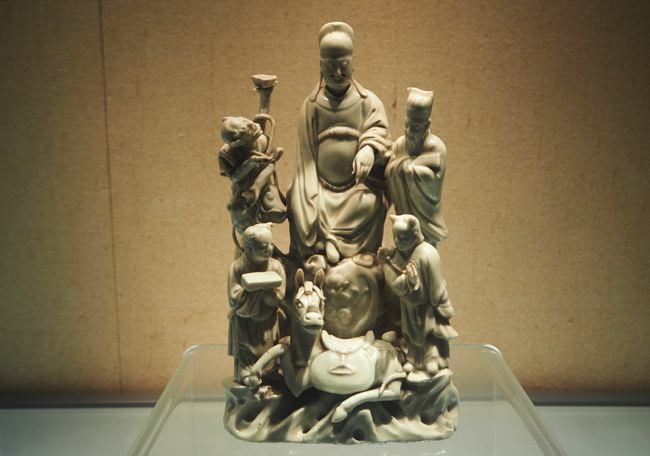 She transforms herself into a young lady and meets Xu Xian at Broken Bridge. Xu lends his umbrella to Bai for it is raining. Gradually, Xu Xian and Bai Suzhen fall in love and have a complicated story. 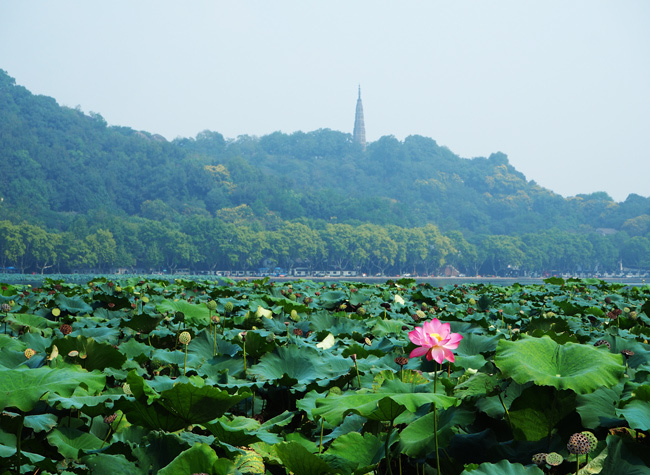 Looking from Broken Bridge, I saw lotus blossom over North Inside Lake with Baochu Pagoda standing elegantly on the hill far away. Though it was in September with early autumn coming, the lotus was still in blossom which would last till the middle of October. 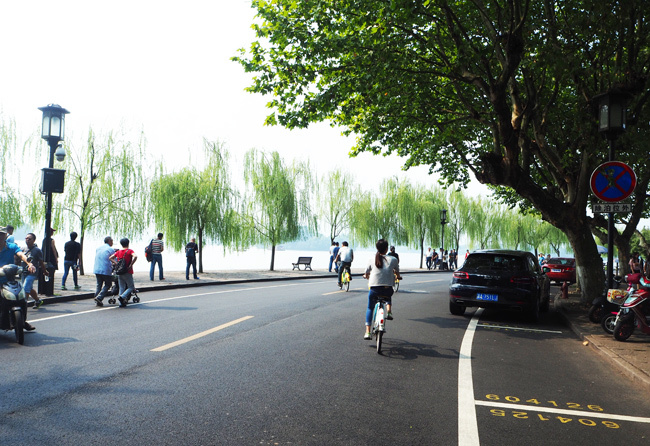 It was a great pleasure to ride along the 1-kilometer Bai Causeway with willow weeping along the bank and breeze gently blowing over my face. 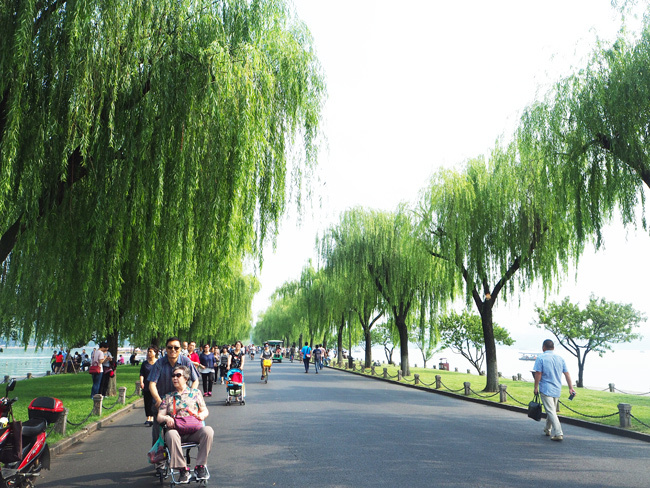 A verse from Bai Juyi in the Tang Dynasty says “the east of the West Lake I love best; strolling along the willow-shaped Baisha Causeway I enjoy most”. The causeway was then renamed Bai Causeway in honor of him. After some relaxing moment on the bank of Bai Causeway, I continued my riding forward to Moon over the Peaceful Lake in Autumn (平湖秋月). To see the bright full moon, you’d better come at night during Mid-Autumn Festival. Of course, I couldn’t see the full moon at this place in the daytime. But, I stopped for a while and sat to drink a cup of Longjing tea and watched two teams doing boat racing on the vast lake. Oh, sorry, it is not me. It is my partner’s! 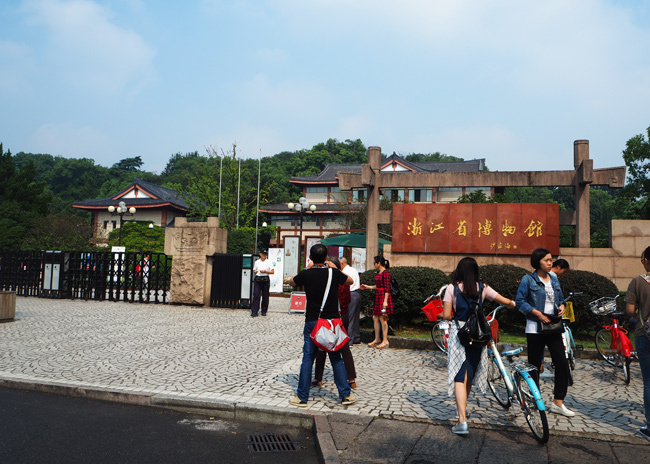 Just continued riding hundred meters, I visited Zhejiang Provincial Museum to meet my curiosity. 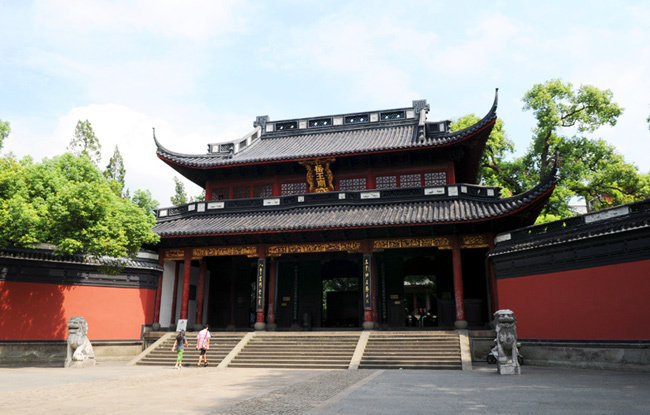 This museum is the largest human and scientific museum in Zhejiang Province with a collection of more than 100,000 cultural relics. 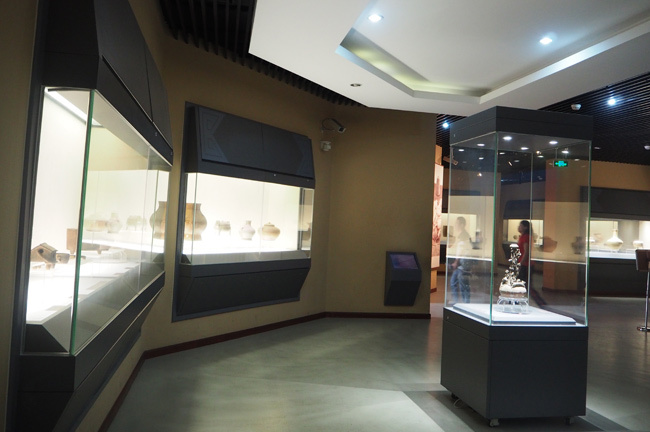 The highlighted exhibition hall is the ceramics which you can learn about Zhejiang 7000 years’ history. After having a learning in the museum, I took a stroll outside and entered into a mysterious garden which was exquisitely decorated with pavilions, lotus pond, rockery, bonsai, winding corridors, ancient halls, red lanterns, paintings and calligraphy…This elegant garden called Wenlan Garden was built in 1784 during the reign of Qianlong in Qing Dynasty which was used for keeping the precious “Siku Quanshu” (四库全书). 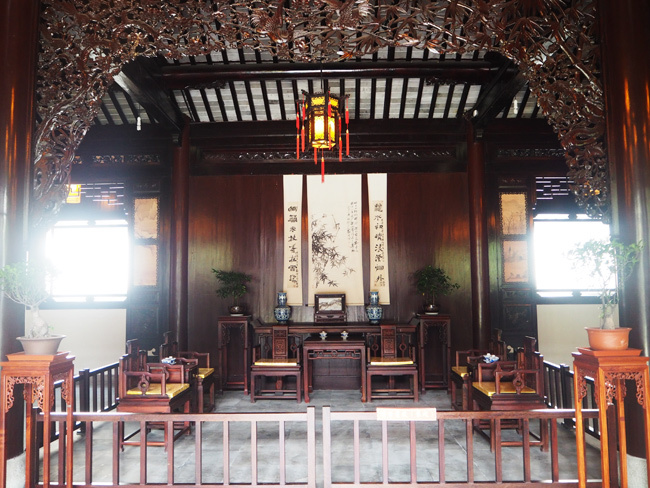 It was an exciting experience to trace back to Qinglong Time and feel the real scene at that time. 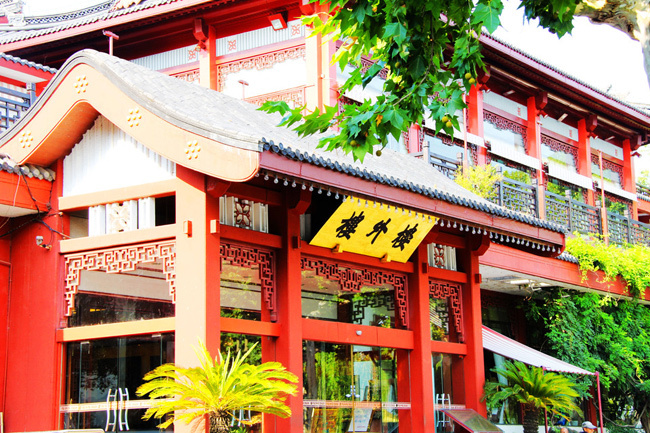 Riding along the Gushan Road, I came across the famous Hangzhou cuisine restaurant with 166 years’ history – Lou Wai Lou where G20 Summit leaders had meals to taste the typical Hangzhou cuisines, like Braised Dongpo Beef, Fried Shrimps with Longjing Tea, Braised Mandarin Fish with Sweet, etc. This restaurant was so hot and on the first floor and the second floor were full of travelers with satisfying face. I didn’t want to wait for the queue, so I skipped this restaurant. 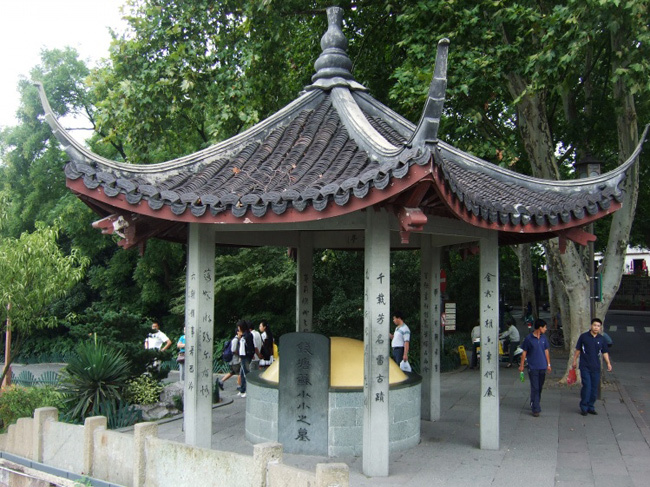 On the way to Beishan Road, I met some spots which could be hidden surprises for me. Just like browsing a history book with legendary stories, I reread Qiu Jin’s heroic deeds to fight for the democracy in the Republican of China; Su Xiaoxiao who was a famous Chinese courtesan and poet in the Southern Qi Dynasty (479~502) with touching love story between Baoren; Yue Fei, the national hero with loyalty to fight for the Southern Song Dynasty. 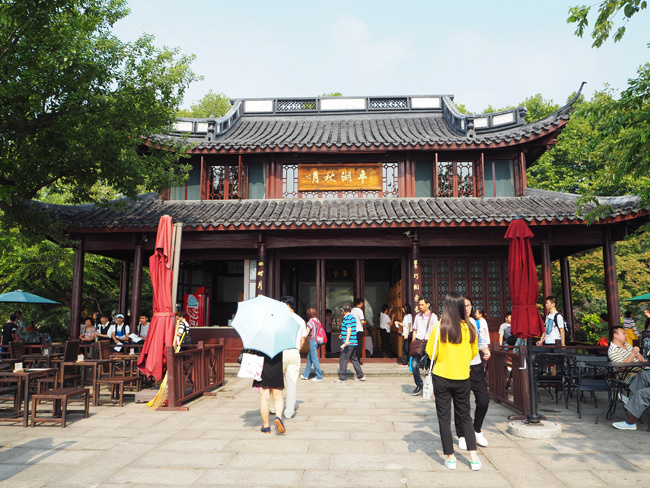 My hungry stomach reminded me to have lunch, so I didn’t go into Yue Fei Temple for further sightseeing. 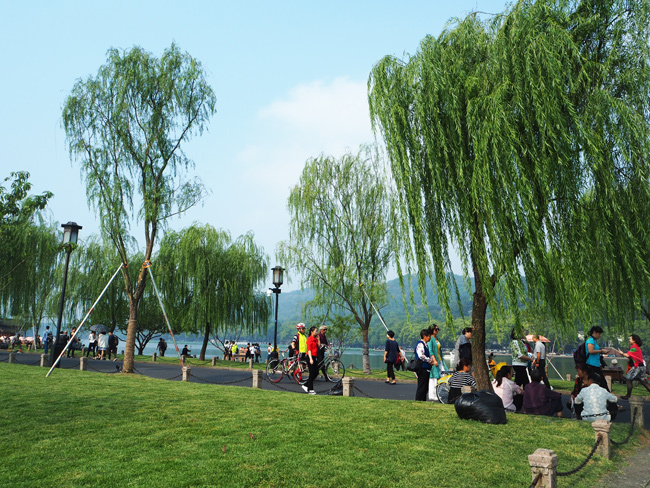 If you interested in cycling around the beautiful West Lake, please go and take 2 Days Relaxing Hangzhou Tour with Half-day West Lake Cycling. 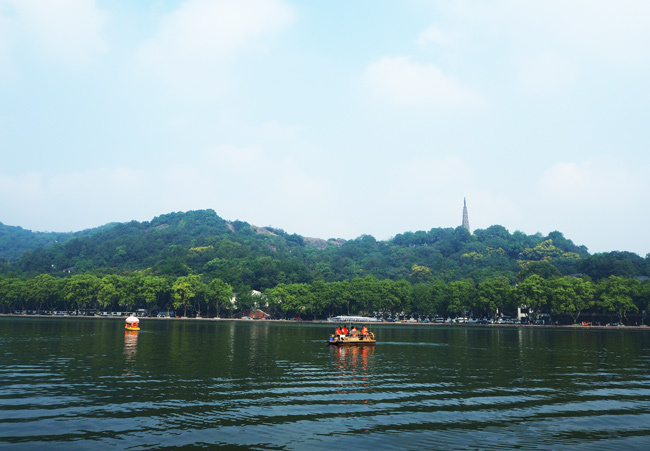 Or, you can customize your Hangzhou tour with China Discovery. 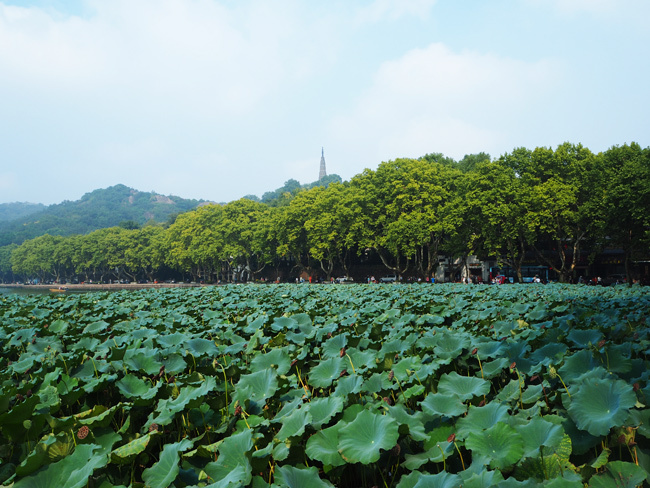 This entry was posted in China Attractions, travel experience, travel guide and tagged China Autumn Travel, Hangzhou, Hangzhou Tour, West Lake by daisy. Bookmark the permalink. Who’s the Favorite Water Town Star, Tongli or Zhouzhuang?